It’s been four years since New Balance’s original partnership with Black Box, which faced a few trials and tribulations regarding their production, and three years since New Balance Numeric has announced their original team, heavily stacked with Arto Saari, Levi Brown, PJ Ladd, and Tom Karangelov. Since that, New Balance Numeric has revamped itself and been resolute into expanding their skate footwear line, team and marketing. Established pros with clean style like Chad Tim Tim, Jack Curtin, Marius Syvanen and Marquise Henry have joined the roster, and they’ve even picked up Zero Am Franky Villani. With PJ Ladd leading this roster, it’s safe to say that many of their shoes are designed to handle technical skating with style; this seems to be the forefront of their objective. Their marketing is another highlight; burned into our brains are the epic videos produced, including Sunland, The Second Narrows, and the fan favorite, VX4000. For this weartest, we were given Marquise Henry’s signature colorway for the Brighton 344, which had a rubber toe screen for added durability not found in other Brighton 344 models. Peep our first New Balance Numeric shoe review below to check out the performance of the other hidden technical features in this shoe. 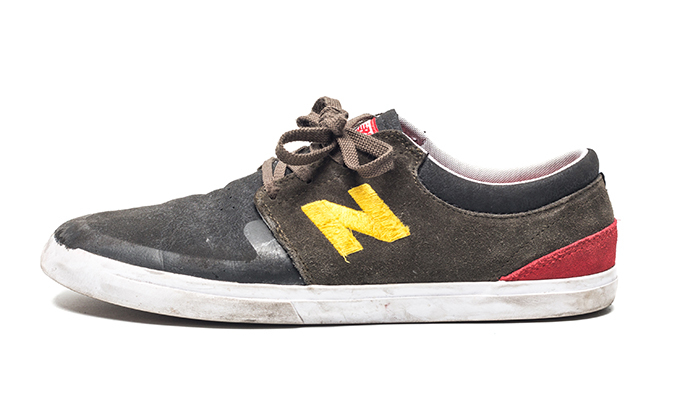 The New Balance Numeric Brighton 344 fits true to size. The shoe features a completely seamless one-piece toecap that is made up of New Balance Numeric’s patented NDure synthetic material. The material itself has the flexibility of suede but the stability of canvas; when skating, the durability of the shoe was extremely impressive. The outsole of the shoe, is made of New Balance’s Ndurance rubber compound, designed to increase the lifespan of the shoe’s outsole. Lastly, this specific Brighton 344 model features an additional rubber screen overlay that covers the outer toe cap of the shoe for added durability. These three features made the durability of the shoe extremely impressive. Since there were no seams to be ripped, direct griptape abrasion mainly came into contact with the rubber outsole. As the outsole slowly started to mold into the upper, the majority of the abrasion was then directed towards the rubber screen overlay, which proved as an extremely successful defense tactic. 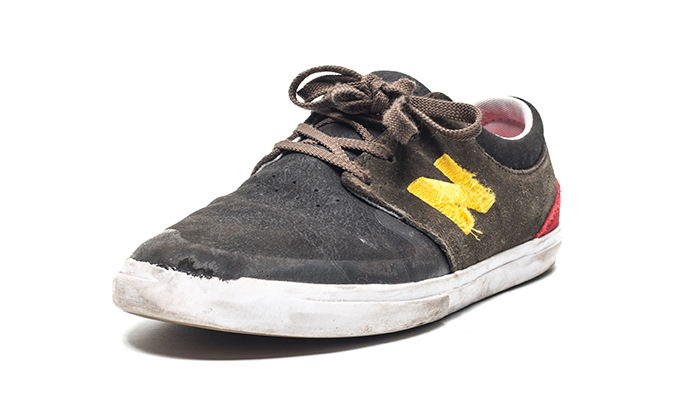 Throughout the 10 hour weartest, the Ndure synthetic material showed absolutely zero signs of wear, and absolutely no ollie or kickflip holes appeared which shows that the lifespan of the shoe can bear skating for a much longer period of time. 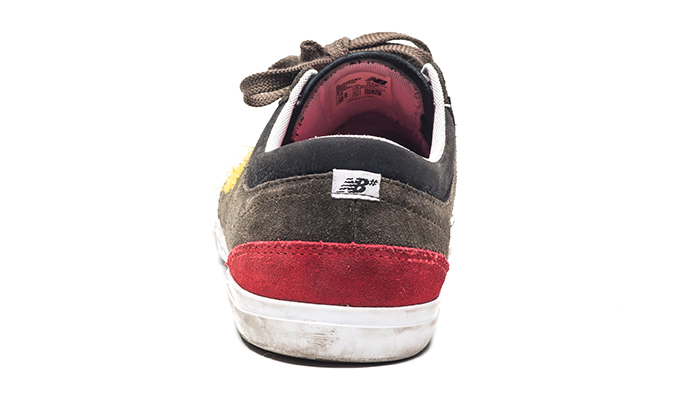 The only thing that could use more attention to is the New Balance logo on the side of the shoe, which was made of stitching that was easily ripped apart from the griptape, giving the shoe a more weathered look than normal. 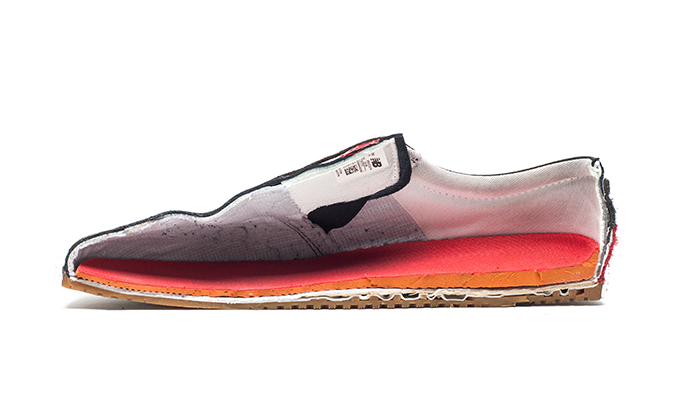 The cushioning of the Brighton 344 starts with an insert made of PU (Polyurethan). This type of cushioning is effective since PU has more consistent support compared to EVA which is used in most skatehsoes and breaks down more over time. There was another special feature in the New Balance Brighton 344 that provided additional cushioning for the shoe. Underneath the EVA foam, there was a multi layered synthetic material that ran from the midfoot to the heel, which rested upon a special tapered crating system. In the half cut photo, you are able to see the fine details of this overall cushioning system. The tapering system is basically a support system that spans from the midfoot to the heel, and has evenly placed grooves that basically extend from the sole of the shoe. This creates many pockets, and also rigid walls in the midfoot area, that help to provide stability and also protection from heel bruises. When put to the test, the shoe was cushioned very well for medium impacts of up to 6 stairs, however, the heel of the cushioning still felt a bit thin and the impact was felt extremely close to the heel with larger impacts. The shape of the Brighton 344 feels quite long, especially when looking down at the shoe, it feels the one-piece toe-cap almost starts from the midfoot section of the shoe. Despite for being how slender the shoe looks, it fits wide feet quite well; there was a lot of spacing from the midfoot to the heel to ensure that the foot was snug and tight, and would not slip out or off during pushing. The shoe also felt more like a low top fit, so the heel seemed a bit exposed since there was minimal cushioning around the heel collar of the shoe. Since a lot of the focus for the added cushioning elements was geared towards the heel of the shoe, the midfoot to the toe of the shoe was extremely flexible and boardfeel was on point. The PU midsole also covers the front section of the shoe, but is evely distributed so that boardfeel isn’t negatively affected and cushioning isn’t sacrificed. The vulc of the shoe was extremely grippy, throughout the whole 10 hour weartest, grip only got better, as the vulc wore down to better adapt to certain flip tricks. Moreover, New Balance used it’s own patented rubber compound called Ndurance Rubber, which is also used in their tennis and running shoes, with the aim to combat for maximum durability in high-wear areas, which is in this case, the outsole of the shoe. The comfort of the shoe was an issue for us, with one main characteristic of the shoe that proved to be a bit irritating when skating. But firstly, we’ll start with the pros. 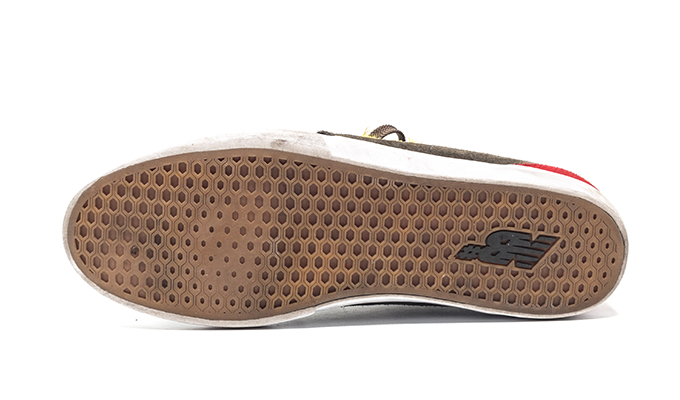 For starters, the insole of the shoe had grooves and a tread pttern on the bottom, which really helped stabilize the insole with the sole of the shoe; this prevents any slippage that may occur when pushing. Also, the shoe itself is a low profile model that fits well to your foot, especially with the added feature of an elastic gusseted tougne. The tougne itself has an elastic band that connects to the sidewall of the shoe, and stabilizes the feet within the shoe very well. The shoe can also be worn as a slip on without any laces. With that said, the tougne is situated quite low, and the material it is made of is extremely stiff and sharp, which ended up cutting into the front of the ankle whenever the ankle bent forwards. With thicker socks, this is a bit more bearable, but without socks, the tougne definitely pokes into the front of your foot. Apart from that, the overall comfort of the shoe is nice, especially with the snug fit provided by the elastic gusseted tougne. Marquise Henry’s colorway of the New Balance Brighton 344 proves to be a sleek and stylish low-profile vulcanized model that has extra features to highlight durability, cushioning and boardfeel, but could use more attention to detail when it comes to comfort.